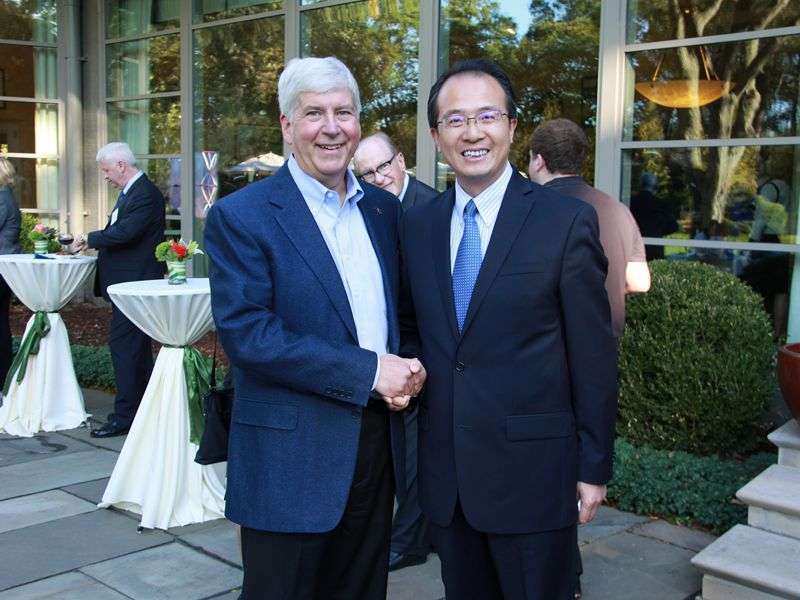 On October 4, Consul General Hong Lei met Michigan Governor Rick Snyder while attending a reception for the consular corps in American Midwest at Governor Snyder’s official mansion. 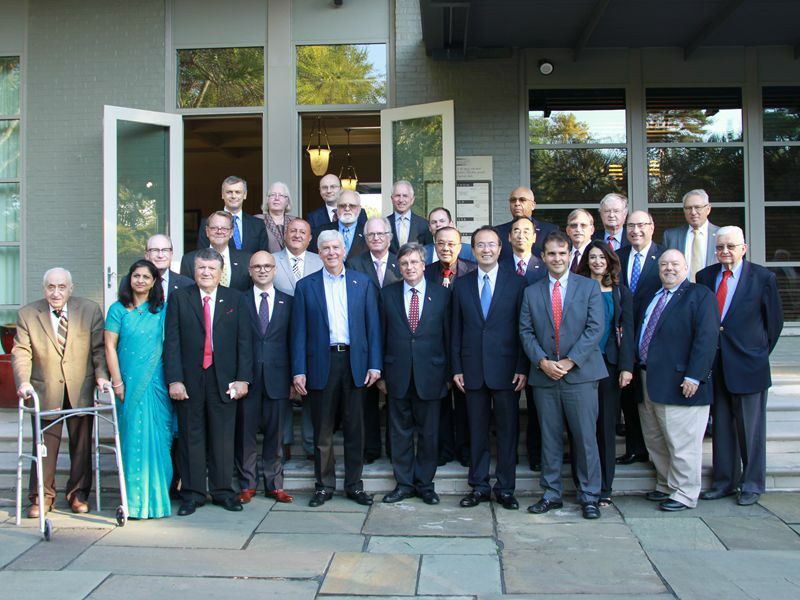 Michigan-China Innovation Center’s Director Brian Connors was present at the meeting. CG Hong Lei congratulated Governor Snyder for his seventh successful visit to China. He also praised the Governor’s efforts in promoting relations between China and Michigan. 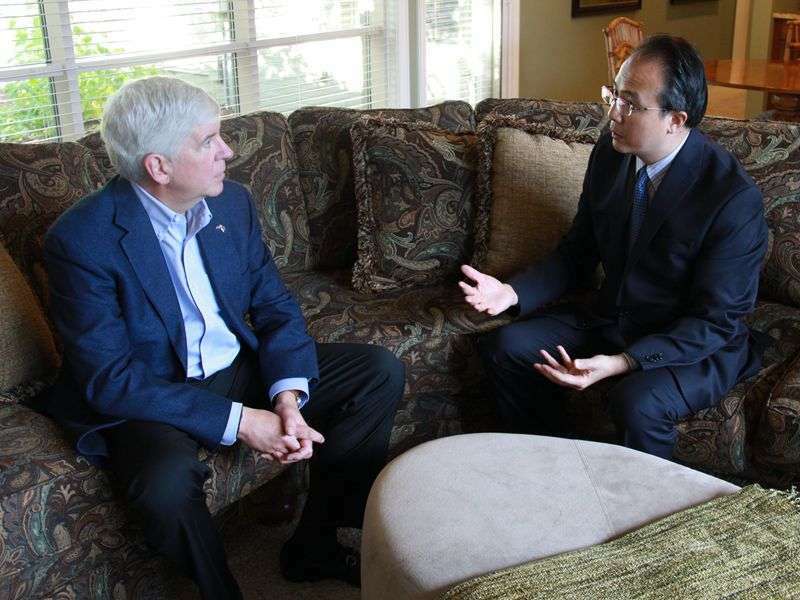 Consul General Hong Lei added that Governor Snyder met with Primer Li Keqiang and provincial and local leaders in China and discussed the prospect of bilateral cooperation. This has demonstrated China’s great interest in growing relations with the state of Michigan. Currently, China-Michigan partnership has reached a pivotal stage. Governor Snyder has made proactive efforts to develop ties with China, laying a sound foundation for the further deepening of friendship, exchanges and cooperation. The Chinese Consulate General is willing to work with the government of Michigan in delivering the result of Governor’s visit to China and expand pragmatic cooperation in all areas. Governor Snyder said his visit to China is very fruitful. In particular, meeting with Primer Li Keqiang left a deep impression on him. The state of Michigan needs to build strong partnership with China, and is willing to exchange experience with China in reform and realize common development that is beneficial to both sides. Governor Snyder stated that he is looking forward to strengthening mutually beneficial exchanges and cooperation with China in the areas of trade and people-to-people exchanges. He also said that he is looking forward to visiting China again next yeat so as to make greater contribution to the growth of Michigan-China ties.